Joshua M. Smoker was born November 26th 1988 in Calhoun, Georgia. He grew up an Atlanta Braves fan in their glory years of the later part of the 20th Century. The six foot two left handed pitcher was signed out of high school as a first round pick by the Washington Nationals in 2007, the 31st pick overall. He spent five years in the Nationals organization, getting plagued by injuries by 2012, making it to pitch in just six games that year with an ERA over seven. After his fastball lost most of it's velocity & he had two arm surgeries the Nationals released him. The next year he was out of baseball & then found himself pitching in an Independent League in the Mid West at Illinois. In 2015 he signed as a free agent with the New York Mets. He pitched his way through the Mets minors, Savannah, St. Lucie & Binghamton going 3-0 with a 3.12 ERA. In 2016 he began the year at AAA Las Vegas & was t be another Mets pitching story getting to the big leagues. 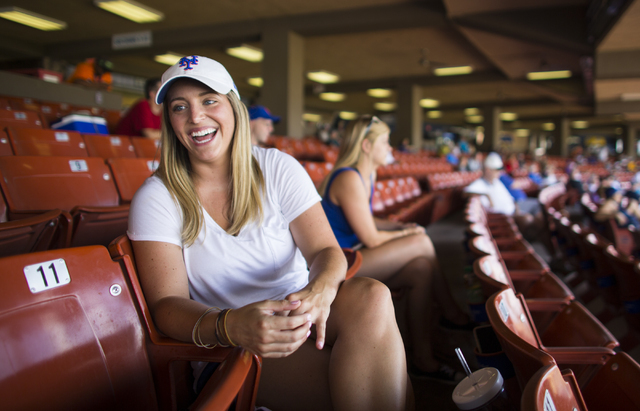 It seems the Mets just keep plucking successful pitchers out of their minor leagues. In the hitters ball park at Las Vegas he went 3-2 with a 4.11 ERA, nothing too impressive. But what was impressive was his 81 strike outs in 51 innings. He was first brought up in late July sent back down & then as the staffs injuries mounted he was needed again. 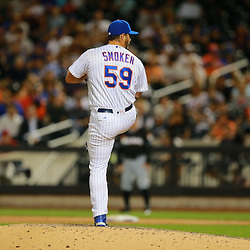 Smoker made his debut on August 19th in San Francisco, he gave up wo runs in an 8-1 Mets loss. On August 23rd he was credited with a hold, even though he gave up a run. His ERA was above nine after five games but the Mets stuck with him. On August 29th he got his first win, as he struck out two Marlins in the 10th inning & Yoenis Cespedes hit a walk off HR. 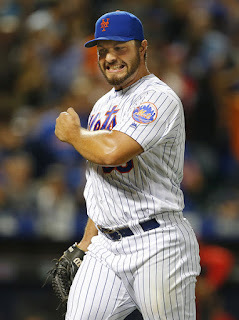 He earned two more wins in relief, the first in Cincinatti & another at Citi Field against the Phillies. In twenty games he piled on the strike outs, fanning 25 batters in 15 innings in twenty appearances, with his 96 mph fastball. He went 3-0 with a 4.70 ERA, contributing big time to the Mets wild card run. He was left off the post season roster for the Wild Card game. Smoker made his first Opening Day Roster in 2017 & would be with the Mets all season. He took two losing decisions early on, one against the Nats in extra innings & the other at home against the San Diego Padres. In his next outing on May 30th he earned a win in extra innings. They would be his only decisions on the year. Used mostly as a middle relief man, he saw more late inning action in September earning himself five of his seven holds on the year in that month. 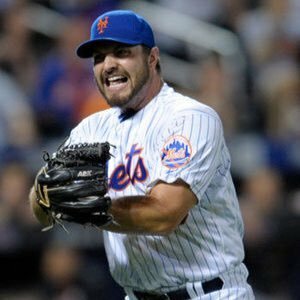 His 54 appearances were third most on the Mets staff as he went 1-2, with 68 strike outs & 32 walks in 56 innings of work, posting a high 5.11 ERA. He finished up seven games & served up 10 HRs. In January 2018 he was traded to the Pittsburg Pirates for Daniel Zamora. In just seven games he posted an 11.12 ERA & was placed on waivers. He was picked up by the Detroit Tigers, pitched one game & was released. Family: Josh is married to wife Nicole. Picture courtesy of the cranepool forum.